Fun card for the big 2 year old! 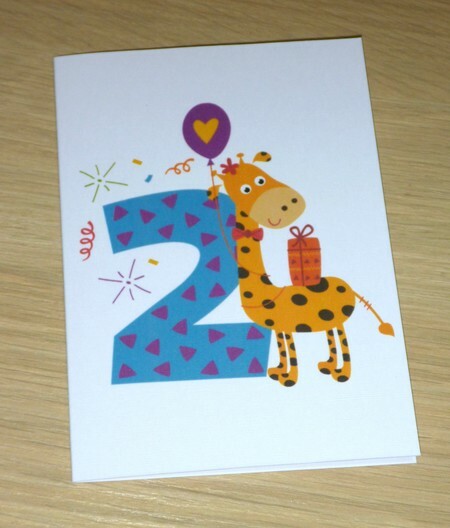 The white card features happy and bright giraffe with a number 2. 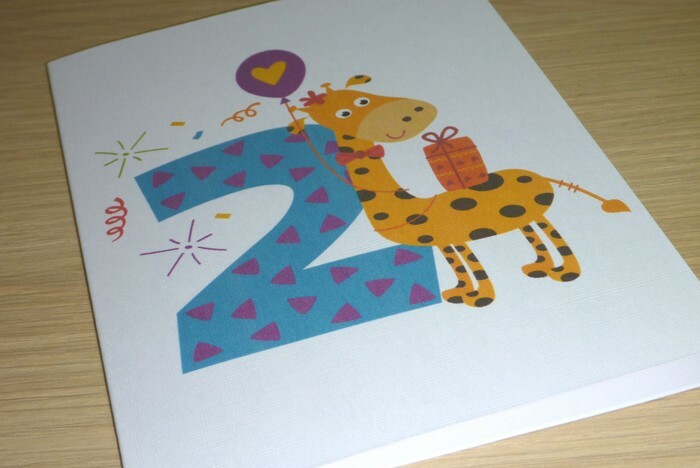 Great for boys or girls.